Why Is It Important to Have a Reference Letter for Immigration in AU? 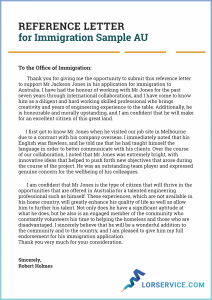 It is obvious that reference letter for immigration to Australia is one of the compulsory documents which are required for ACS ICT skills assessment. If you understand the importance of letter of recommendation for residency, then it will be easy for you to recognize the significance of an employer letter of reference for immigration AU. 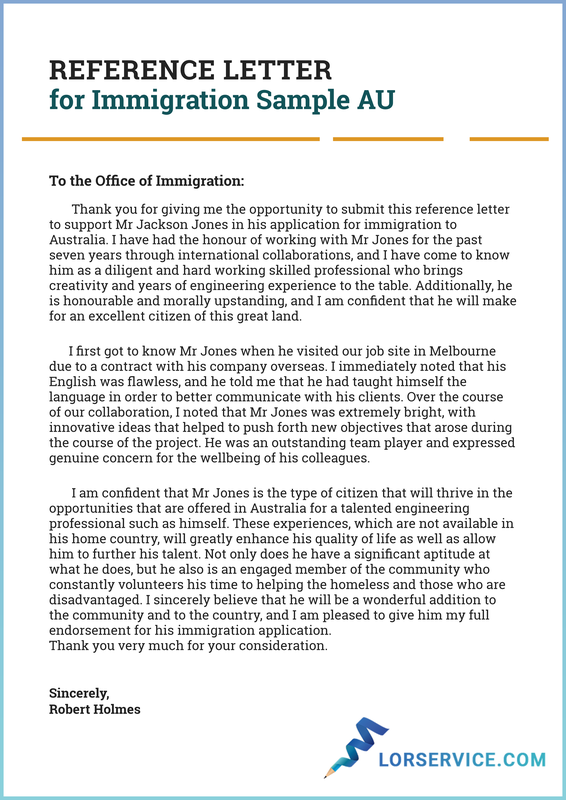 Let’s try to find, why it is important to have a reference letter for immigration in AU? This is the reference letter that portrays your excellence in the academic career and relates your knowledge with the nominated occupation on the basis of a recommendation of your mentor. A good reference letter makes it easy for the employer or institute to judge your behaviour and performance during the previous employment and makes a decision about your hiring on the basis of recommendations of your previous employer. Without a reference letter, you have no proof of your knowledge, skills and abilities and no one will consider your claims without recommendations of a reliable person or a company. As a minimum, 65% of the duties provided in the employment reference must be strictly related to the designated occupation (ANZSCO). Each employment reference must comprise the start and end dates of employment, working hours, employment status (full time or part time), employment location and valid contacts of previous and current employers. To determine the relevancy of the experience as per designated occupation, description of performed duties must be the part of reference letter. Some applicants think that they can easily prepare the AU job recommendation letter without the assistance of any professional help. However, when they got rejection due to not fulfilling the requirements for the standard format of reference letter established by ACS, they realize the importance of hiring professional services for writing the winning reference letter. Most of the applicants got a rejection of application due to very common mistakes that they commit while writing a letter of recommendation in AU. Following are the common mistakes that you should avoid in making the reference letter. Most of the applicants commit while submitting the reference letter for immigration AU is asking the employers or mentors to prepare the content of reference letter. Remember! No one has time to prepare the good recommendation letters for you. You have to prepare the content at your own and ask the mentor or employer to print this content at letterhead of company or institute. Remember, you are not writing the letter of recommendation humor. You must strictly follow all the ACS guidelines to prepare your reference letter. For example, the dates should be in DD/MM/YYYY format. Either you are writing the recommendation letter for anesthesiology or work letter of reference for immigration AU, you should only use the company letterhead. It is not enough to prepare the content at a plain page and take the signature of the company’s authorized person. Such type of reference letters is simply rejected at a first glance. ACS or “Australian Computer Society” is an Australian association for ICT (Information and Communications Technology) professionals with more than 26,000 members. The objects of ACS are promoting Australian ACT resources and professional excellence in information technology. For Australian immigration, you have to fulfil the ACS ICT skills assessment criteria. According to ACS ICT skills assessment, your educational qualifications and work experience should meet the professional ICT level requirements and must be closely allied with the nominated occupation “ANZSCO”. In this process, your academic record is firstly assessed by using Australian national education standards to determine the AQF comparability. After this, your relevant work experience is assessed to meet the suitability criteria of ACS ICT. A letter of degree completion will also be accepted for Australian qualifications only. ACS Recognition of Prior Learning Forms for applicants of Recognition of Prior Learning (RPL). To get the best-written reference letter for immigration to Australia, contact us and enjoy our rapid, reliable and affordable writing service with a money-back guarantee! Hey Connie, thank you so much, the letter looks awesome! God bless you!